The successful completion of a construction project is reliant on the right workers, but it is rare for a construction business to have all the required staff (in numbers or skills) on hand. This is where labour hire comes in to play. 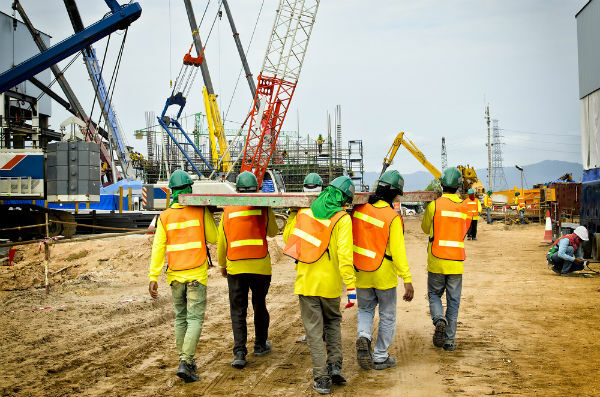 Outsourcing the recruitment of temporary construction workers makes good business sense, and can provide you with the right mix of long or short-term employees to get your construction project completed on time and to budget. Trying to hire construction workers yourself is time-consuming, especially for a large project. You might have to trawl through hundreds of applications to find the right person for the job. Outsourcing your labour hire frees up your time and resources to focus on other aspects of the project and your business as a whole. A recruitment agency like On Line Recruitment is in the business of hiring. We have many years of experience handling recruitment for all industries and finding the right solutions to meet our client’s needs. Working with a labour hire company will save you time and prevent unnecessary stress. Illness is a part of life, but that doesn’t make it any less inconvenient for employers. Absent construction workers can result in significant delays to a project which in turns impacts negatively on the budget. Labour hire can fill last-minute vacancies ensuring your construction project stays on track. Labour hire companies like On Line Recruitment have a database of highly skilled workers that they can quickly filter to match workers to jobs. A construction project will require the input of many different trades and workers with very specific sets of skills. Whether you need to source welders, electricians, machinists, riggers, crane operators or sheet metal workers, a labour hire specialist will be able to find people for these positions fast. If you’ve got a large scale construction project in Nowra or the surrounding NSW South Coast, contact On Line Recruitment today. We’ll find you the absolute best candidates to suit your requirements.